Gloria Taylor, 55, was transported to Stony Brook University Hospital, where she is in critical condition. SCPD are investigating a motor vehicle crash that seriously injured a construction worker in Coram on Monday, August 14. Coram, NY - August 15, 2017 - Suffolk County Police Sixth Squad detectives are investigating a motor vehicle crash that seriously injured a construction worker in Coram on Monday, August 14, 2017 at approximately 12 p.m.
Gloria Taylor was holding a sign to slow or stop traffic on the east side of northbound Route 112, which was under construction, when a 2000 Isuzu box truck traveling northbound drifted to the right near Pauls Path at approximately 12 p.m. 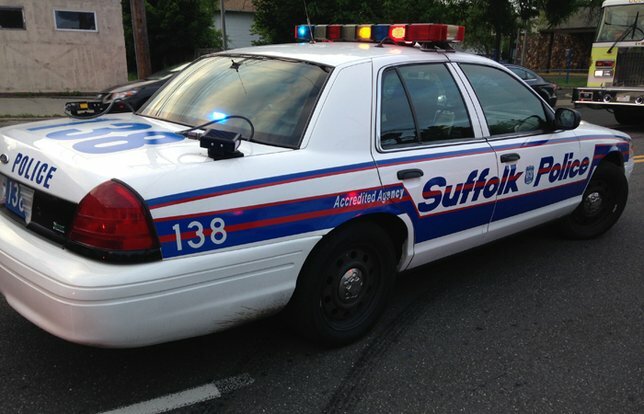 The truck struck Taylor, 55, of Islip. Taylor, was transported to Stony Brook University Hospital, in critical condition. The driver of the Isuzu, Dominick Sconzo, 19, of Selden, New York, was not injured. A safety check was conducted on the truck, owned by Casa Piazza, located in Port Jefferson Station, New York. Subject: LongIsland.com - Your Name sent you Article details of "SCPD: Construction Worker Seriously Injured After Being Struck by Vehicle in Coram"